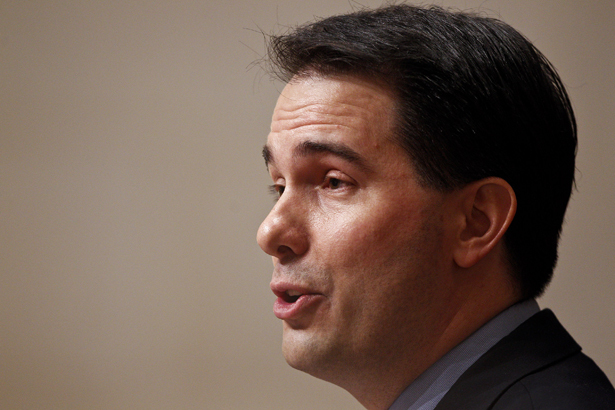 Documents reveal how a mining firm quietly supported Wisconsin’s governor. When Gogebic Taconite LLC began moving in November 2010—the same month Scott Walker was elected governor of Wisconsin—to develop an open-pit iron mine in one of the most environmentally sensitive regions of northern Wisconsin, the Florida-based mining firm got a lot of pushback. Residents of the region objected, along with Native American tribes. So, too, did citizens from across Wisconsin, a state that has long treasured the wild beauty of the Penokee Range. Environmental and conservation groups voiced their concerns, as did local and state officials from across the political spectrum. Wisconsin media outlets reported extensively during the 2011 and 2012 on the governor’s determination to overrule objections to the grand schemes of an out-of-state corporation. Now, those same media outlets are reporting on newly released documents that show the mining firm secretly steered $700,000 into “independent” efforts to provide political cover for the embattled governor. Walker, of course, denies any wrongdoing, as does Gogebic and the group that managed the money. Yet there is no question that the governor provided substantial support for the mining company. During a long, high-profile battle, he dismissed and denied a broad array of objections to Gogebic’s plans. When the controversial rule changes were approved by the legislature in 2013, Walker announced that he was “thrilled” to sign the bill. What went unmentioned at the time was the extent to which Gogebic Taconite was “thrilled” with Walker. The documents reveal details of a number of huge and previously unreported donations. Yet the one that raised the most eyebrows had to do with the mine project. As the recall fights heated up, Gogebic Taconite moved $700,000 to the Wisconsin Club for Growth, which in turn steered resources to other groups that cheered on Walker and his Republican allies. “Because Wisconsin Club for Growth’s fundraising and expenditures were being coordinated with Scott Walker’s agents at the time of Gogebic’s donation, there is certainly an appearance of corruption in light of the resulting legislation from which it benefited,” argued Dean Nickel, the former head of the state Department of Justice’s Public Integrity Unit who investigated the fund-raising scheme for the state Government Accountability Board. The governor has every right to make that claim, as do his most ardent apologists.